Kansas City Built F150 – Have you seen it? Introducing the Kansas City Built Ford F-150 MVP Edition… Just in time for BASEBALL SEASON! At the end of March, Ford saluted the reigning World Series Champs the Kansas City Royals by announcing a limited edition of the Ford F-150. Only 300 of the Ford F-150 MVP Edition will be produced. This new edition will be specifically built at Ford’s Kansas City Assembly Plant. 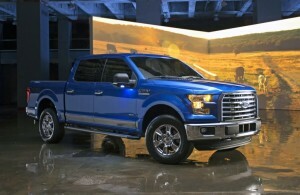 The Ford F-150 MVP Edition will be based on the current F-150 XLT with chrome package model. It will be available in either Oxford White or Blue Flame. 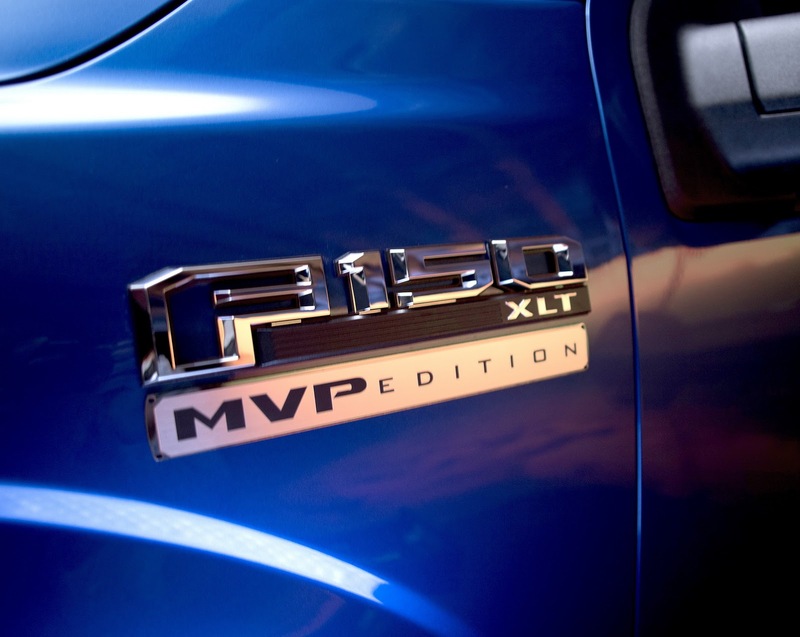 The F-150 MVP Edition will also include special MVP badging and exclusive polished stainless rocker panels. It will also feature an spray-in bed-liner. The 2016 Ford F-150 MVP Edition was the brain-child of Marc Lassalle. He’s probably the Kansas City Royal’s biggest fan. Lassalle based his idea on that of the 1986 Ford Ranger MVP Edition which was created and sold in 1985. That year was the first time the Kansas City Royals had ever won the World Series. “Like our manufacturing team members at Kansas City Assembly Plant, the Kansas City Royals are a great example of what terrific teamwork can accomplish,” said Gary Johnson, Ford vice president for North America manufacturing. How awesome is this? The customizations of the F-150 MVP Edition are added at Kansas City’s energy-efficient SubTropolis underground business complex. This is where Ford applies the customer accessories to the trucks. Royal’s Hall of Fame and star pitcher Bret Saberhagen and current Royal’s catcher Salvador Pérez both worked with Ford to promote the F-150 MVP Edition. For now, the F-150 MVP Edition is only on sale at Kansas City area Ford Dealers. So, for other models of the F-150, give us a call! We’ll set you up with your very own VIP Test Drive Experience and get you behind the wheel of your brand new Ford F-150! Call NOW! 0 comment(s) so far on Kansas City Built F150 – Have you seen it?